There can be only one! To avoid severely disrupting the space-time continuum, and\or increasing the number of fights, I would strongly recommend against installing both of these in the same World. Considering that there are no pictures extant, and the only thing I have to go on is a Sims 2 Sim that was made without the creator ever seeing the human, I had plenty of scope. If he looks anything like the real Pescado, it's a miracle. Male pattern balding has not yet set in but will as he gets older. He already has some facial hair and surely will acquire more as time goes on. There is a small amount of custom content in here; in particular the pirate hat by EsmeraldaF. Both use AikeaGuinea's default replacement eyes. 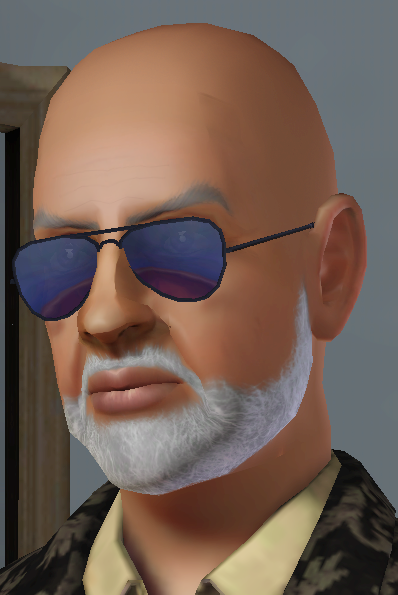 His traits, in both cases, are Mean-spirited, Computer Whiz, Dislikes Children, Genius and Grumpy. And he intends to live forever, by whatever means. I also made him in a more mature version. 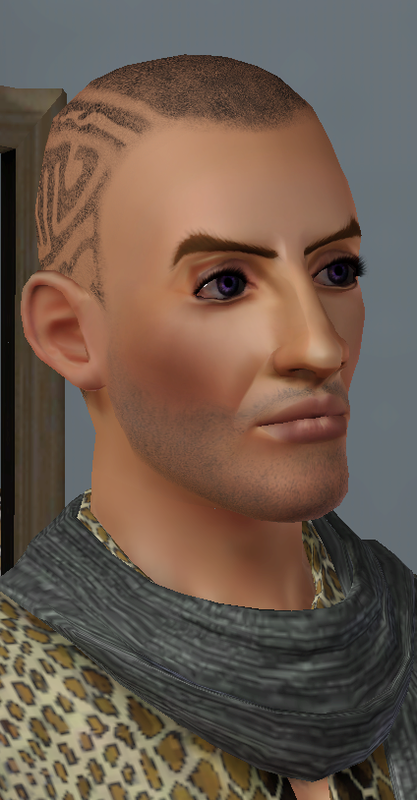 The older Pes is very slightly different - more eyebrows, a little more weight in the cheeks, his head hair is completely gone, and he has more beard. And because human men's noses change as they grow older, his has changed to echo that: it's fuller and a touch longer. So if you choose to age him down, he won't look quite the same as Junior above.